First, Christensen categorizes all innovations as being either “disruptive” or “sustaining”; according to disruption theory the former are ignored by incumbents, giving space for new companies to develop, while the latter are adopted by incumbents who eventually crush new entrants. This is why Christensen was infamously bearish on the iPhone: it was a superior product that Nokia et al would surely respond to. An even cursory examination of tech history makes it clear that “obsoletion” – where a cheaper, single-purpose product is replaced by a more expensive, general purpose product – is just as common as “disruption” – even more so, in fact. Disruption is a bottom-up strategy; obsoletion is a top-down one. Modularization incurs costs in the design and experience of using products that cannot be overcome, yet cannot be measured. Business buyers — and the analysts who study them — simply ignore them, but consumers don’t. Some consumers inherently know and value quality, look-and-feel, and attention to detail, and are willing to pay a premium that far exceeds the financial costs of being vertically integrated. Indeed, eight years on the iPhone is stronger than its ever been; skeptics may be concerned about growth, but no one (rightly) expects Apple to lose customers to Android. Still, neither critique is incompatible with disruption theory; they were, and are, presented as ways the theory could be made better, part of an endeavor Christensen himself has been engaged in for the last twenty years. However, understanding the success of Uber, the company at the center of Christensen’s latest article, is another matter entirely. Three factors — the promise of upmarket margins, the simultaneous upmarket movement of many of a company’s customers, and the difficulty of cutting costs to move downmarket profitably — together create powerful barriers to downward mobility. In the internal debates about resource allocation for new product development, therefore, proposals to pursue disruptive technologies generally lose out to proposals to move upmarket. In fact, cultivating a systematic approach to weeding out new product development initiatives that would likely lower profits is one of the most important achievements of any well-managed company. In fact, Christensen understates his case: Uber started by offering black car service at a price significantly higher than taxis; it was only with the introduction of UberX a full three years after the company was founded that the service became competitive with taxis on a price basis. Now, though, UberX is not only often cheaper, UberPool always is; the company is actually moving in the exact opposite direction of a disruptor, which means Christensen is quite justified in claiming that Uber is not disruptive. And yet, the devastating impact Uber is having on the industries it is competing with looks an awful lot like disruption’s aftermath: the market for ride-sharing is far larger than the taxi-market ever was (a la new market disruption), and incumbents are not only losing riders but are also seeing the value of their most prized assets (taxi medallions) plummeting. To simply say that Uber is a sustaining innovation is to dramatically undersell what is happening. 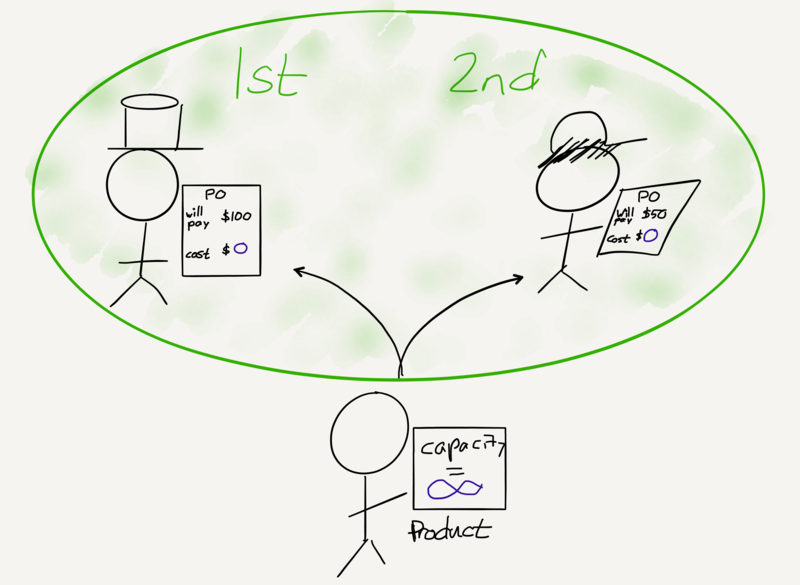 Using the rational, analytical investment processes that most well-managed companies have developed, it is nearly impossible to build a cogent case for diverting resources from known customer needs in established markets to markets and customers that seem insignificant or do not yet exist. After all, meeting the needs of established customers and fending off competitors takes all the resources a company has, and then some. Every additional customer accrued a cost, whether that be the marginal cost of serving them or the opportunity cost of not serving a different customer. Given that, it was, as Christensen noted, perfectly rational to focus on the most profitable ones. However, something else momentous happened around 20 years ago: the emergence of the Internet. As I’ve written repeatedly, including two weeks ago in Selling Feelings and this summer in Aggregation Theory, the Internet has completely transformed business by making both distribution and transaction costs effectively free. In turn, this has completely changed the calculus when it comes to adding new customers: specifically, it is now possible to build businesses where every incremental customer has both zero marginal costs and zero opportunity costs. This has profound implications: instead of some companies serving the high end of a market with a superior experience while others serve the low-end with a “good-enough” offering, one company can serve everyone. And, given the choice between a superior experience and one that is “good-enough,” of course the superior experience will win. To be sure, it takes time to scale such a company, but given the end game of owning the entire market, the rational approach is not to start on the low-end, but rather the exact opposite. After all, while marginal costs may be zero, providing a superior experience in the age of the Internet entails significant upfront (fixed) costs, and while those fixed costs are minimized on a per-customer basis at scale, they can have a significant impact with a small customer base. 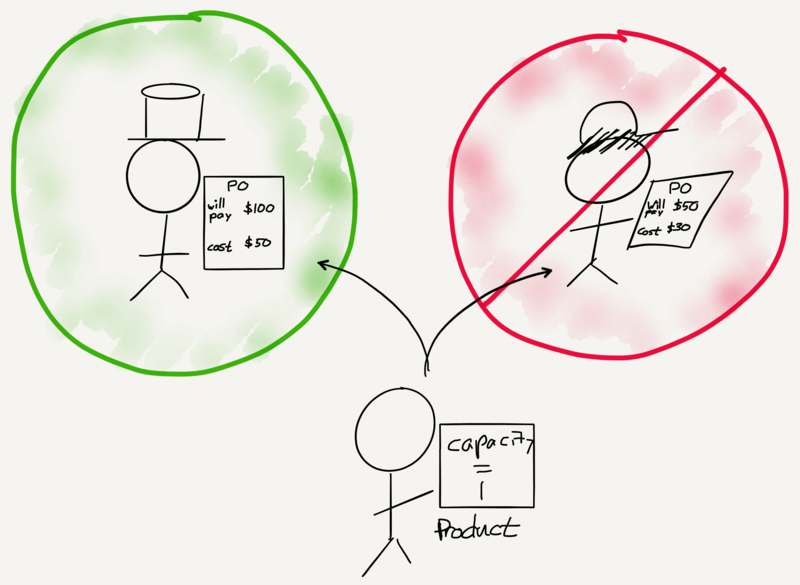 Therefore, it makes sense to start at the high-end with customers who have a greater willingness-to-pay, and from there scale downwards, decreasing your price along with the decrease in your per-customer cost base (because of scale) as you go (and again, without accruing material marginal costs). This is exactly what Uber has done: the company spent its early years building its core technology and delivering a high-end experience with significantly higher prices than incumbent taxi companies. Eventually, though, the exact same technology was deployed to deliver an lower-priced experience to a significantly broader customer base; said customer base was brought on board at zero marginal cost (to be sure, there is more to Uber’s success than that; I laid out in Why Uber Fights how Uber’s aggregation of riders gives them leverage in bringing drivers onto their platform in a virtuous cycle). I stated above that disruption was the pinnacle of management theory, and I chose my tense carefully: the truth is that Christensen’s attempt to demarcate what is and isn’t disruption perhaps has far deeper implications for the theory than he realized. Many of the most important new companies, including Google, Facebook, Amazon, Netflix, Snapchat, Uber, Airbnb and more are winning not by giving good-enough solutions to over-served low-end customers, but rather by delivering a superior experience that begins at the top of a market and works its way down until they have aggregated consumers, giving them leverage over their suppliers and the potential to make outsized profits. And, by extension, incumbent companies are actually in far more trouble than they were 20 years ago: the issue isn’t that they are constrained by the profit motive from going down-market, but rather that the distinction between up-market and down-market is, from a cost basis anyways, increasingly non-existent. All that matters is the quality of the experience and the ability to scale, two skills that companies founded on controlling distribution and segmenting customers are fundamentally deficient in. That’s not to say that disruption theory doesn’t still have its place: while the iPhone may not have been disruptive to phones (it obsoleted them), Christensen has noted that the iPhone did in fact disrupt the PC. Similarly, while I agree that Uber is not disruptive to taxis (it is winning through aggregation), what could potentially happen to the personal automobile industry happily fits the theory perfectly.